Sector Strike – Games for Android 2018 – Free download. 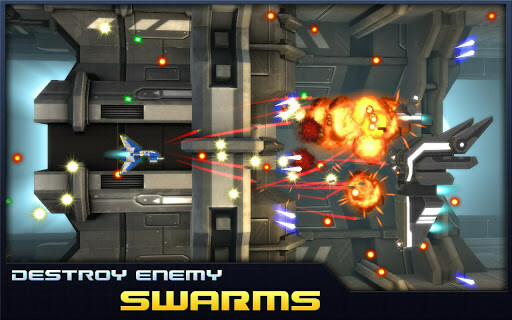 Sector Strike – Exciting shoot'em up game. 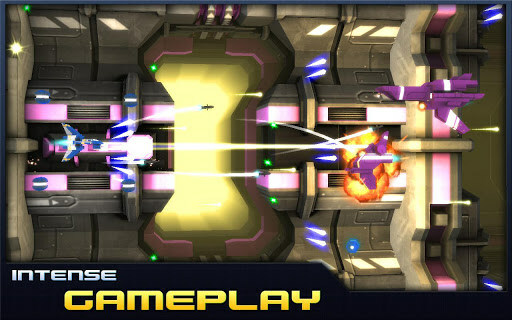 Sector Strike - is a very dynamic and rapid game for Android in the genre Shoot'Em Up. This means that we are going to fly on a small spaceship and fight together with dozens of enemies by shooting them out of cannons and dodging oncoming bullets. Development of the game deals with an experimental studio Clapfoot, on account of which there are already several successful projects for Android, the most striking - Tank Hero . All games can be characterized studio careful attention to graphics, thoughtful and balanced geimpleem, and most importantly - a proper system of monetization. This game is available for free, but not strangling or given, and can go through the whole game without any monetary investment. Overall, the gameplay in Sector Strike is no different from other space shooters, we have surveyed our website, you can recall the Radiant and Beat Hazard Ultra . 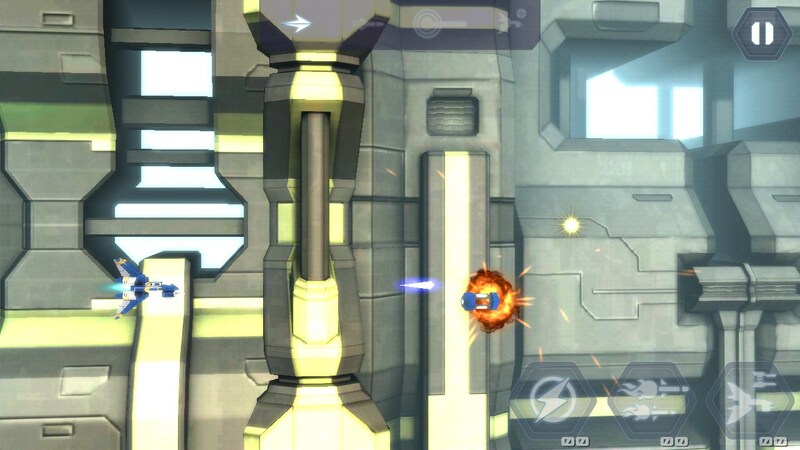 Here we sequentially pass through level after level, shooting of all kinds of weapons numerous enemies and bosses. The first thing to look for when the game is a slight twitch in contact with the image on the enemy, this effect allows you to experience and feel the shot and even deeper dive into the process. 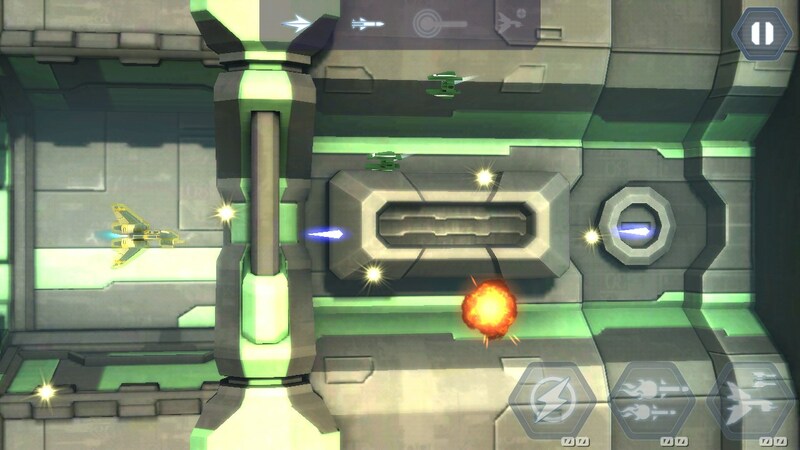 Somewhat unfortunate that the game is controlled by only one single way: when you pinch point on the screen, there spaceship moves and continuous shooting. 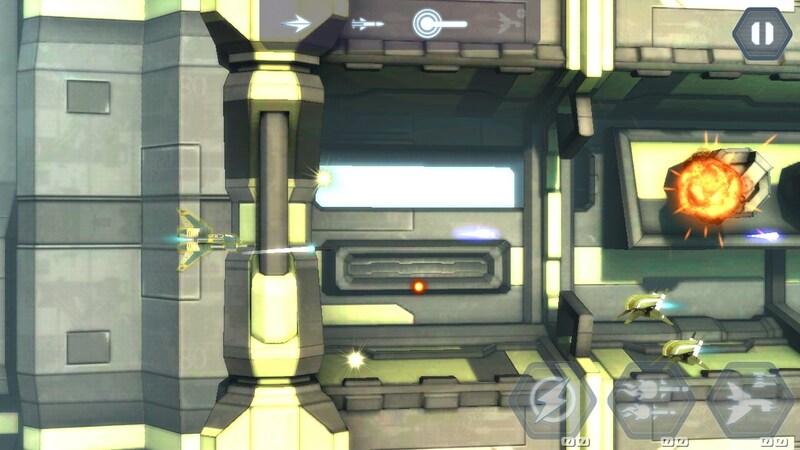 This is very inconvenient, because if you make a sharp maneuver and move to the middle of the screen, the finger will block the important area of ​​the screen, and you just will not see you flying in a bullet or missile. 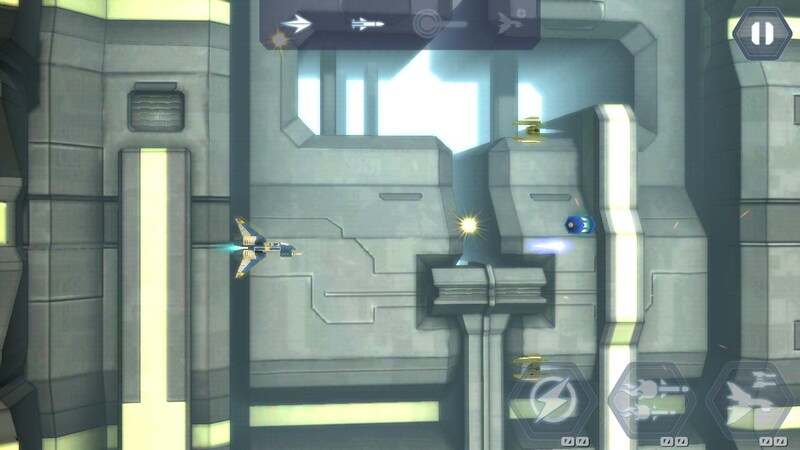 Beautiful Game optimization for older devices, based on Arm V6 (loose game goes to Samsung Galaxy Ace). Curious players found an opportunity to earn infinite coins. You can do this at level 15 at the end of the level of play the main boss and start again, all full of coins stored at, and that can be repeated indefinitely, until the desired amount. 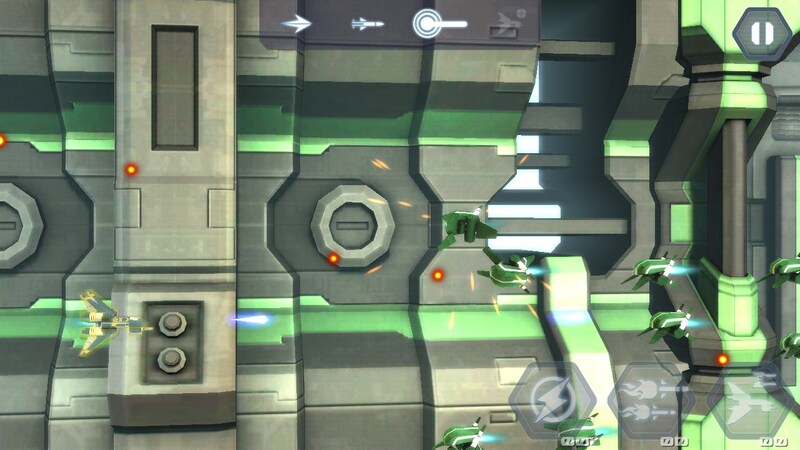 Sector Strike - one of the best representatives of space shooter for Android-devices. The game is very interesting, unusual, and is made at a high level. Given that it applies to a fully free of charge, the game gets a solid five of us.